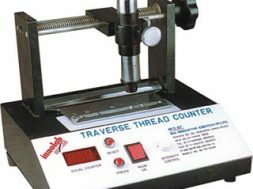 Professor, Textile Engg. Dept, Faculty of Engineering & Technology, M.S. university , Vadodara, Gujarat, India1. Abstract : Now a day’s recycling or reclamation of metallic powder becomes a necessity to make it more economically viable, reducing concerns over availability of virgin powder and elimination of disposal into landfills with associated regulatory issues. By operating an efficient and effective reclamation process, metallic powder can successfully be removed from polymer-encapsulated plugs for re-use without affecting the quality of the metal product and also it provides an environmentally responsible solution to disposal. Keywords : Metallic powder, Spin pack, Spinneret, Metering pump, Quench air, Spin finish applicator. 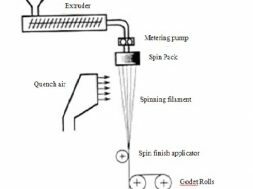 Spin pack is the heart of melt spinning process, in spin pack preparation, spinneret, distributor woven wire mesh and metal powder of various sizes (125 to 1000 microns) are used. The metal powder is used for filtration of polymer, shearing of gels etc. The metal powder is a costly consumable and its disposal is also becoming an environmental issue. This paper deals with technology and quality assurance of metal powder recycling. Metallic Powder can be used as a filtration medium in the production of polyester and nylon fibre used in industries such as textile & carpet manufacturing. Reclamation process that suc­cessfully removes polyester and nylon from polymer-encapsulated metallic powder plugs provides the user improved product economics along with the creation of a sustainable process that eliminates landfill dis­posal. A successful reclamation process effectively cleans and puts the reclaimed metal into the desired speci­fication for the user without adversely affecting the metal particles. This report discusses the benefits and process of metal reclamation. Each year, a typical polyester filament plant of south Gujarat producing 500 Metric tons per day may use as much as 19.8 Metric Tons of metal powder at a cost of 650 Rs/Kg costing Rs. 11.2 million, which is a substantial amount. The cost details of typical recycling process are given below. It is forecasted that glob­al polyester fibre market to grow by 8% annually, particularly in India and China, since the majority of polyester fibre producers use metallic powder in their processes, a similar growth will become apparent for Metallic Powder. Unless reclamation processes are put into place, the resulting polymer encapsulated plugs of Metallic Powder are then destined to be land filled. 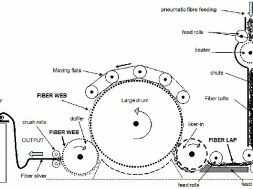 Metallic Powder, glass beads, sand, and screens are typical filtra­tion media used in the production of synthetic fibre. 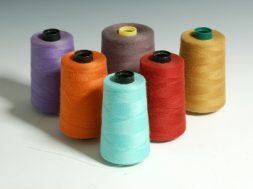 Synthetic fibres are used in the produc­tion of textiles, carpets, tire cord, and a variety of other applications. 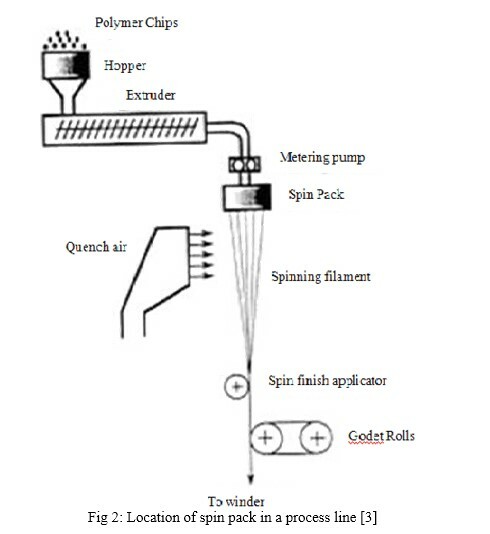 The selected filtration medi­um or combi­nation of media is put into a spin pack in some sort of configuration depending on the pack design the spin pack is then put into the user’s process line where molten polymer is allowed to flow through the spin pack and procedure fibre. *Steam from waste heat recovery boiler. Details of the cost (shown in table 1) of chemicals, steam, D.M. water, units of power consumed and man power cost to recycles the batch size of 80Kg used metallic powder. Individual details are given in ANNEXURE – 1 and ANNEXURE – 2. Details of power consumed (KW/H in table no 2, ANNEXURE 1) of Furnace, Exhaust blower, Circulation fan, Cone dryer, Sieve 1, Sieve 2 & Circulation pump to recycle a batch of 80Kg. Used metallic powder. Details of the consumption of a steam in Kg and D.M. water in litres (shown in table no 3, ANNEXURE 2) to re-cycle a batch side of 80Kg of used metallic powder. After use, the spin pack is disassem­bled for cleaning, whereby the poly­mer-encapsulated filtration medium is deposed of and replaced with virgin material. Sources of metallic Powder have his­torically been from global virgin metal suppliers who have proprietary processes, such as atomization, to con­vert base metal into metal powder. As the international market for mined metals fluctuates, so does the availabil­ity and pricing for the distribution and sale of metallic Powder. Global eco­nomics and environmental mandates have begun to push manufacturing sites toward greener processes and reclamation instead of disposal. There are end-users who have in-house solvent and burnout processes to reclaim metal internal to their facil­ity; however, reclamation using sol­vent chemistries produces waste water and waste solvent streams contaminat­ed with metal that must be land filled, incinerated, or treated. Burnout processes alone do not provide clean metal and can also offer air emission and waste metal fines problems. Some leading spinners have developed a non-destructive, effective, and envi­ronmentally responsible reclamation process for metallic powder. 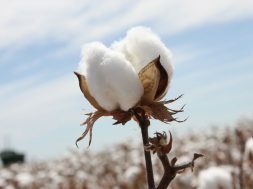 In the fol­lowing sections, the reclamation and testing processes are described, along with basic fundamentals of why metallic powder is the filtration of choice for many fibre producers. In the reclamation, process, poly­mer-encapsulated metallic powder plugs from spinning equipment are placed on racks in ovens equipped with specialty temperature controls and after-burner exhaust features. The racks are designed to separate compo­nents of the plug during the heating process. Afterwards, bulk metal from depolymerised plugs goes through a washing/drying process including acid and alkali treatment followed by separation of metallic and non-metallic components. Once a cleaned stream of metal is produced, it goes through a sieving process to control particle size distribution per the users’ specifications. When the sieved metallic powder has been collected, sam­ples per lot are tested to produce a test report. The report values must fall within the spec­ifications for that grade of metal. 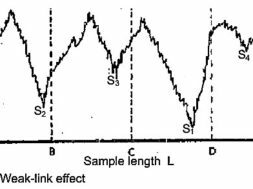 Apparent density is an indicator of void volume in a sample of metal. The apparent density is the value determined by Equation 2 when weighing a container of known vol­ume that has been filled with metal powder. The device used to measure apparent density consists of a con­tainer of known volume and a special orifice that controls the flow of metal into the container so that “metal packing” is prevented. 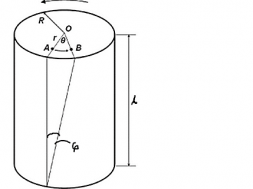 Where, AD = apparent density (g/cc), W = tare weight of metal, V = volume of the container. The sieve analysis is determined by using a rotap equipped with proper screens for the specific grade of metal and the user’s specification. Once a sample of reclaimed metal has been processed through the rotap screens, the weight of metal captured on each screen is weighted and compared to the user’s specification. 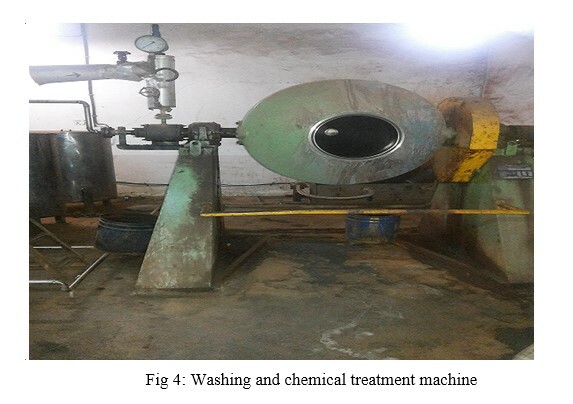 The above shown machine is used to give chemical treatment and washing of used metallic powder. After properly drying this powder, the lot is transferred in a hopper below which sieving assembly is placed for proper size wise segregation of reclaim metallic powder ready for use against virgin metallic powder. Metal reclamation provides ‘a sus­tainable option’ for users greatly reducing concerns over the availability of virgin powder and the associated rising costs. Instead, the users can depend on the availability of metal and long-term pricing stability. – Energy-use for reclamation – Per pound of metal reclaimed, energy usage is less than 7.8 kilowatts/Kg . 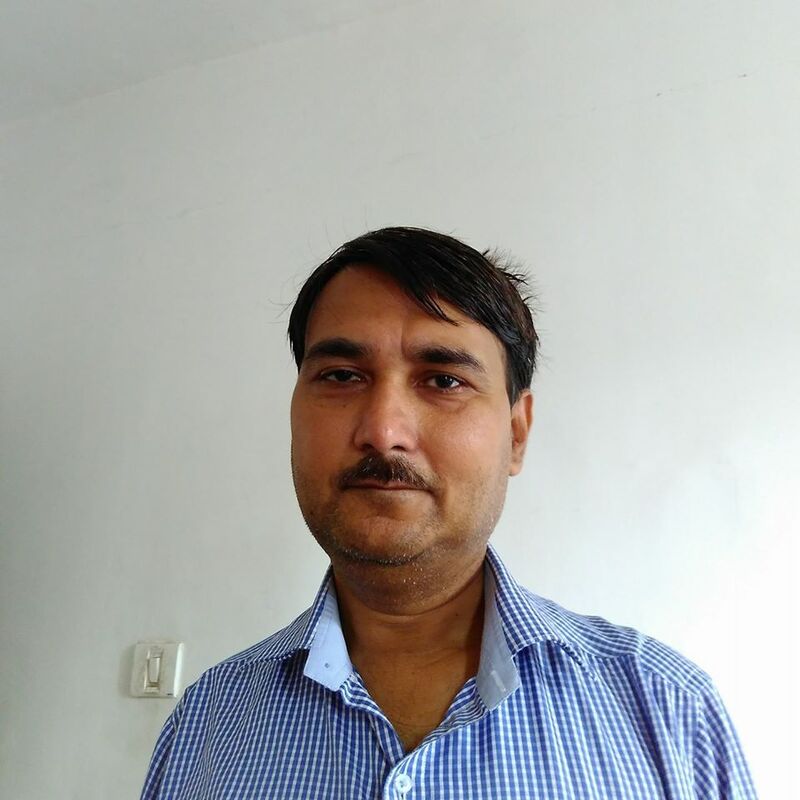 – Solid waste disposal/land filling is almost eliminated. Recycling of shipping containers – Users will return empty shipping containers to be used for future shipments. In general, approximately 5 shipments/ container are possible before discarding the container or using it for other purposes. Recycling plastic-shipping containers also reduces the amount of material going to landfills. Minimization of wastes going to landfill – Reclaimed Metallic Powder yields are -96% per batch of cleaned metal. As a result, reclamation eliminates land filling 100% of polymer and 96% of the Metallic Powder. The residual 4% of metal that cannot be reclaimed is generally metal fines due to attrition; however, other uses for the fines are being researched. 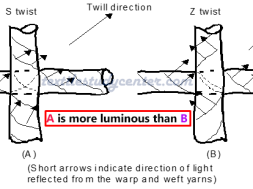 Metallurgy – The user’s process conditions determine the metallur­gical needs of the metal. For exam­ple, a high nickel content P-270 grade is more resistant to oxidation that a standard DPI grade . As a result, when reclaiming a wide vari­ety of in-coming metal streams, attention to metallurgy is important so as to not mix metals of similar grades but different metallurgies. Metal fines – A quantifiable small amounts of metal particles outside of the specified grade can lead to plugged spinneret capillaries and a difference in the filtration level of the pack. During the sieving part of the process, it is extremely important to determine the proper combination of screens and screen­ing techniques to ensure the metal powder is put into proper specifica­tion with minimal fines. Cleanliness – Reclaimed metal should be free of carbon and organ­ics. The removal of inorganic is important to reduce contamination issues. Specifications – A user desires metal that meets the specification of their filtration needs. When reclaim­ing Metallic Powder, it is extremely important to understand and use the proper sieving technology and tech­niques. Incorrect particle separation can produce quality and on-stream life process issues. A polyester fibre producer recent­ly began using reclaimed Metallic Powder. Initial trials revealed no adverse process effects of reclaimed metal vs. virgin metal. After 12 months of using reclaimed metal, the on-stream performance is the same as virgin; however, there has been a savings of 11.2 million rupees on account of metal powder purchase and an additional savings on landfill disposal of 0.4 million rupees of polymer-encapsulat­ed metal plugs. A polyester producer was required to dispose of the polymer-encapsu­lated Metallic Powder plugs as haz­ardous waste because of the Cr and Ni content in the metal. As a result, not only did the disposal costs increase but the additional waste- stream threatened to change the user’s waste generator status. Being able to reclaim the metal resulted in not only savings on disposal costs but kept the site from becoming a large quantity hazardous waste generator. When operating an efficient and effective reclamation process, Metallic Powder can successfully be removed from polymer-encapsulated plugs for re-use without affecting the quality of the metal product. Hoganas, “Stainless Steel Powders for Hot Polymer Filtration”, March 2010. Morgan Campbell, “Reclamation of Metallic Powder Used in Filtration Applications”, AFS Conference, March 2011.